Players from two of the most successful girls basketball programs in Section V in recent history are in-studio on Sunday morning. 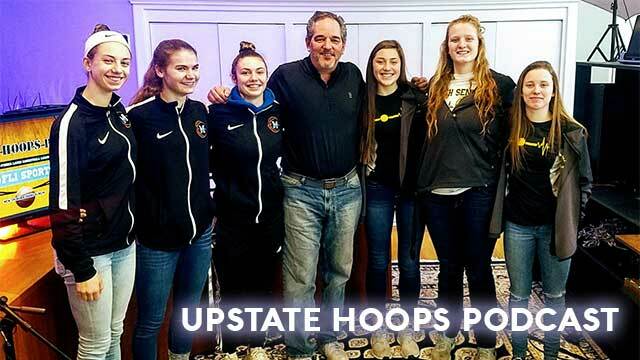 Alaina Forbes, Macy Kisner and Cara Walker of the Midlakes Screaming Eagle join Jade Parsons, Jenna McDonald and Logan Shaulis to talk about their seasons and the quest for a Sectional Championship and a return to the NYSPHSAA Final Four. The South Seneca Lady Falcons are riding a 10-game winning stream coming off two-consecutive trips to the NYSPHSAA Final Four. On Sunday morning, Skylar Shaulis, Jade Parsons & Jenna McDonald are in-studio to talk about their season so far and their expectations for the post-season ahead. Also, highlights from the week in W-FL high school basketball, a big week ahead with league title implications and the latest edition of FL1 Sports Power Rankings.